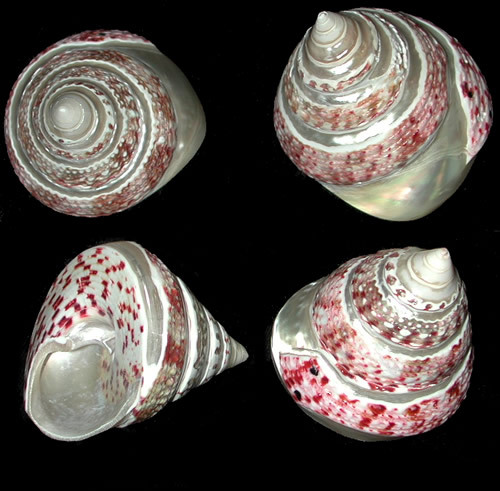 Troca's are top shells. scientific name: Trochidae. 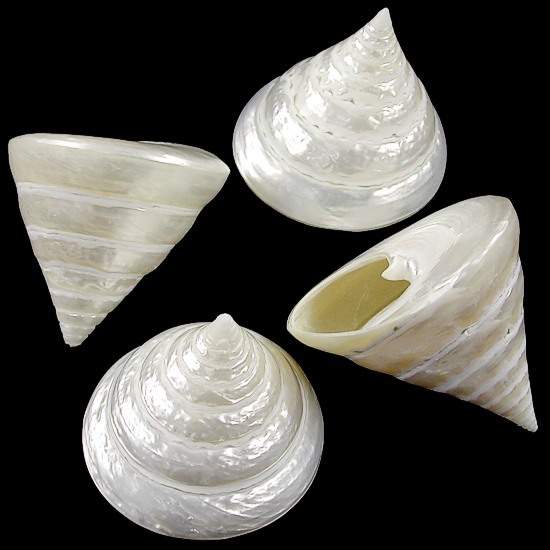 This is a large family of shells found world wide. 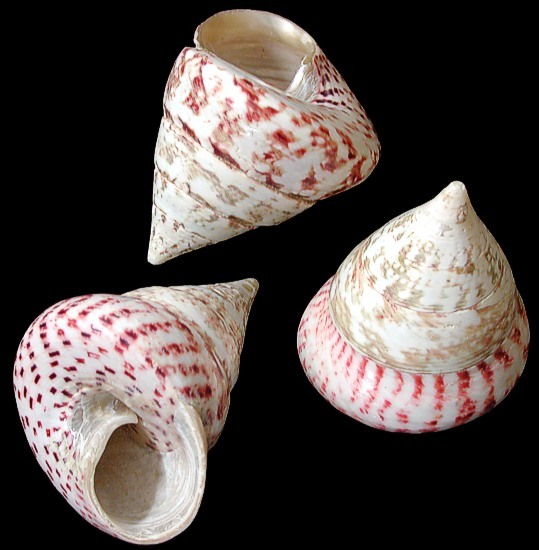 The shells are spiral to conical shape and vary from low to tall and slender. They range from less than 1/2 inch to over 6 inches in size. 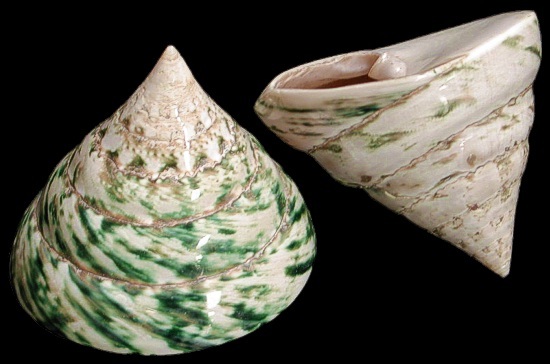 The shells exterior are variable and may be smooth, glossy or sculptured. 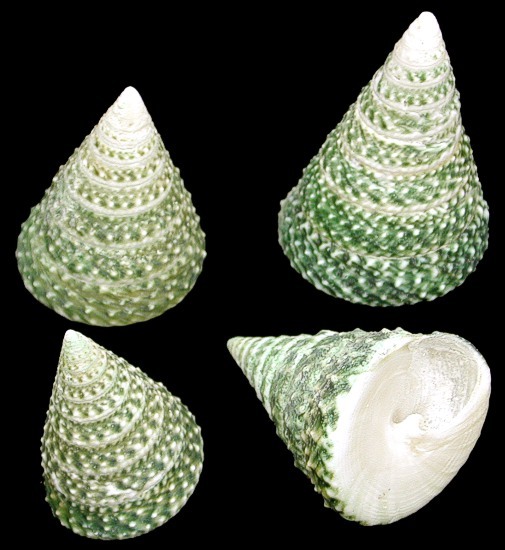 All trocas have a pearly interior and a horny operculum consisting of many turns. Trocas are herbivores and use their radulae to feed on algae and vegetable detritus. 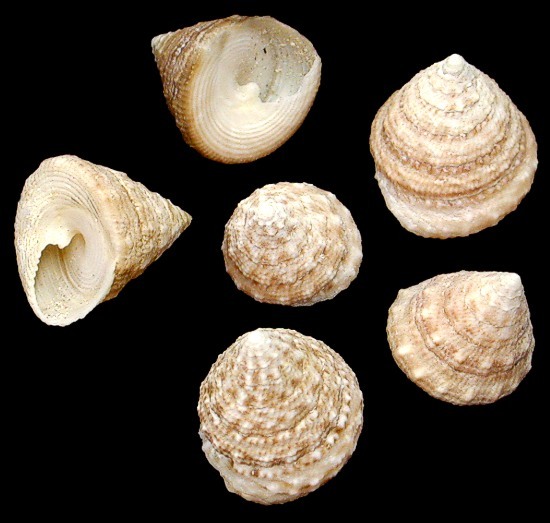 Sexes are separate and in some species the females are larger than the males. The two sexes position close to each other releasing eggs and sperm; fertilizing instantly. 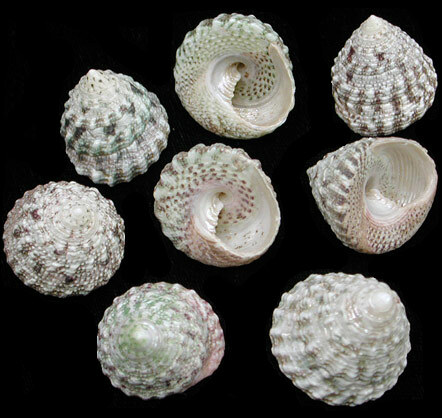 The eggs can be produced singly or in large strings or masses. The larvae free swimming stage is short lived. 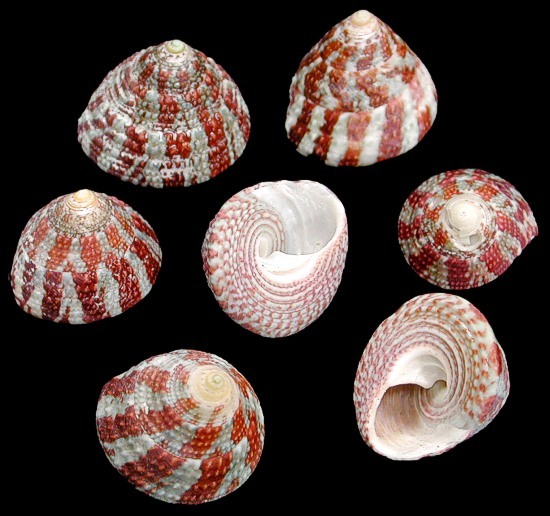 Red Stripe Trocus can vary from stripes of redish brown to grey-white stripes and dashes.